Akshaya Tritiya is an annual spring festival widely celebrated by Hindus and Jains in India and Nepal. Akshaya means IMPERISHABLE, ETERNAL, THE NEVER DIMINISHING and Tritiya means THIRD. Put together, It is celebrated after the “third lunar day” of the spring month of Vaisakha in the Hindu calendar, known to bring imperishable, eternal prosperity, joy, hope and success. 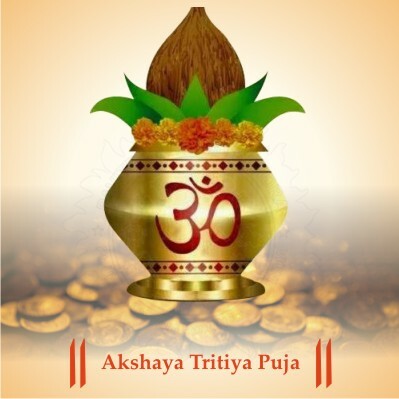 Akshaya Tritiya also goes by Akti or Akha Teej as well. Akshaya Tritiya 2019 falls on the third Tithi (lunar day), Tuesday 7th May. The festival of Akshaya Tritiya is considered to be a promising occasion to start off any new venture or, to invest in shares and gold. It is believed that in doing so, fruitful outcomes such as success and prosperity are very well assured. There are two reasons for this belief. Firstly, on this day and night, the Sun and the Moon are at their radiant best, which astrologically is considered an auspicious occasion, and secondly, there are many legends about the festival, lending it its significance which makes it quite an awaited event according to the Hindu calendar. The Sun entering Aries while the Moon is in Taurus happens on the auspicious day of Akshaya Tritiya. It happens to be the third day of the bright half Shukla Paksha of Vaishaka month of Hindu which falls in April-May. The Sun and the Moon are believed to be in their brightest form on this day. This does not exactly mean that they emit maximum light; instead, it just means that they are in the best positions with each other such that the light reaching the earth’s surface is the maximum and they are also in their best dignity. Akshaya Tritiya is one of the significant days like Gudi Padva, Dushera and Bali Pratipada where every second is auspicious. An additional auspicious beneficiary day will be available for us if the date falls on Monday under Rohini Nakshatra. This date starts from Madhyam to Pradosh Kal. The planet Mars has the capacity to eradicate all the negativities from everyone’s lives. Mars is the son of the Earth and rules our drive, initiative and most importantly our will power. In order for a person to be rid of his karmas indicated in the birth chart and make a conscious effort to steer his life in a different direction other than that indicated by the birth chart, the person has to exercise Mars energy. Tritiya means the ‘3rd tithi’, which makes three an important number for this day. Every alternate year, Mars the third planet, the most important planet for us earthlings, will also be in Aries making it three important planets on that day. 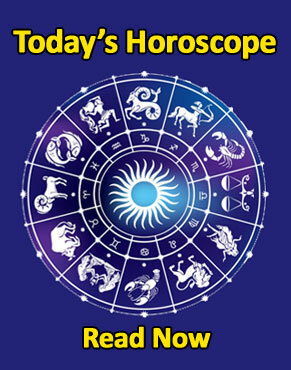 Hence, Akshaya Tritiya forms a very major day for the people who believe in the powers of Astrology. In Northern India, the day is majorly celebrated as the birthday of Sage Parashurama, the sixth incarnation of Lord Vishnu. On this auspicious day, people make many kinds of charities. They take dips in the holy river Ganges in order to wash off their sins. It is also believed to begin Yatras as it is believed that anything starting on Akshaya Tritiya definitely bears fruit and brings success; many Yatras to Kedarnath, Badrinath, Char Dhaam and other pilgrimages starts on this day. The day is also considered auspicious for marriages and you will see many people tying knots on this day. Offering barley in fire and performing yoga are also common trends of Akshaya Tritiya celebration in North India. 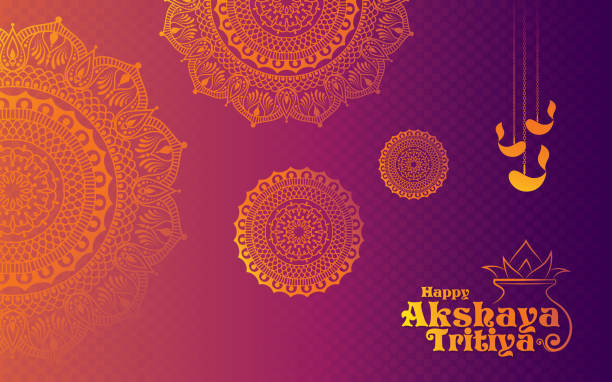 In Rajasthan, Akshaya Tritiya is more commonly known as Akha Teej. The day is considered Shubh Muhurat or the auspicious time for tying the knots of marriage. Largest numbers of weddings are performed on the day of Akha Teej in different cities and villages of Rajasthan. Child marriages are prevalent in the area for a long time. Measures are being taken by the Rajasthan Government to curb the situation, though, In places like Bikaner, people celebrate it by flying kites throughout the day. Maharashtra celebrates Akshaya Tritiya with much pomp and fanfare. The festival holds great significance for women. They exchange haldi (turmeric) and kumkum (vermilion) with each other. These two ingredients often applied on the forehead as a teeka are considered signs of marital bliss. They pray for the health and prosperity of their husbands. Women get together, usually at the home of one from the group, to offer prayers to Goddess Gauri, who is considered to be the symbol of marital bliss. They meet and greet each other with flowers and teekas. The hostess usually serves local delicacies like karanji, Puran poli and also distributes nuts, coconuts, sweets, bangles, flowers, betel leaves amongst many other things like lavishly prepared snacks that include Vatli Dal and Kairiche Panhe (raw mango juice). Most of the time at this get-together is spent paying respects to the Goddess. The day is considered auspicious to start new ventures. Like most other states, a lot of gold is bought in the state of Maharashtra too. So, it is believed that whatever is bought on this day will continue to prosper. In West Bengal, the festival of Akshaya Tritiya is celebrated with much devotion and fervour. People purchase long-term assets like gold and silver. A popular trend of Halkhata is practised on this day. It involves offering puja to Lord Ganesh and Goddess Lakshmi and starting of new audit book and accounts. Many of them visit temples and also perform Satya Narayana Katha at their homes. Taking dips in sacred rivers is also a custom being practised by Bengalis since ages. Akshaya Tritiya in Odisha is more associated with worshipping Mother Earth. After a bath in the morning, the farmers pay homage to Goddess Lakshmi for a better crop the following year, and then go to their farms in new dresses and sow new seeds for the next round of farming. The festival is also referred to as Muthi Chuhaana in the western part of the state. Here people avoid taking green leafy vegetables and non- vegetarian food on this day. The popular Jagannath Yatra also begins on this day. In urban areas of Orissa, the day is considered best for the purchase of gold and silver. The 42 days long Chandan Yatra begins on this day as well as the chariot making for the famous Rath Yatra of Puri. For people belonging to the Jat community, the day is of great importance. On this day, as the sun starts to rise, a male member of the family goes to the farm with a shovel. It is believed that directions and messages about the prediction of rains and crops are given by omens which are represented by the birds and animals encountered along the way. The day is also known as Unboojha Muhurta for weddings and many mass marriage ceremonies can be seen taking place on this day in Jat communities. Akshaya Tritiya holds the status of one of the most important festivals in the region. At this time of year, the feet of the presiding deity is shown in Banke Bihari Temple in Vrindavan. People here believe that the day of Akha Teej is the first day of creation, and hence, such high sacred significance. The idols of Lord Krishna are smeared with sandalwood paste. Besides, holy offerings to the deity include cucumber, aamras, juice and laddus made up of sattu (flour of ground pulses and cereals). 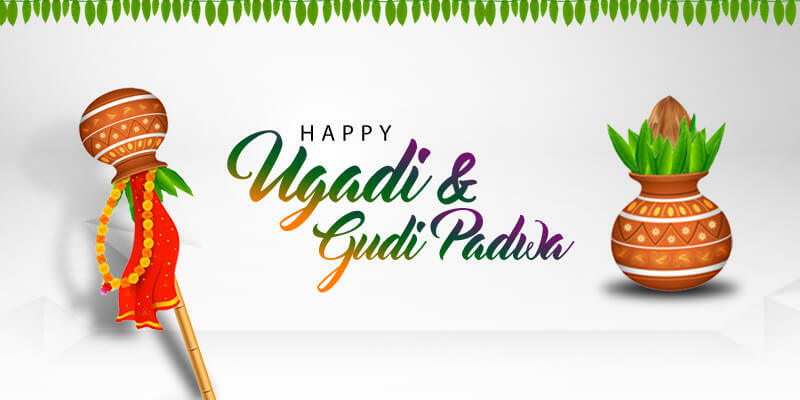 In South India, the day is celebrated with full vigour considering Lord Vishnu and Goddess Lakshmi and Kubera as the gods for the day. On this day, Maha Vishnu Pooja and Lakshmi Kubera Homa are held, and charity in terms of offering food and clothing to the poor and needy are also carried out. South Indians visit many temples like Tirupati Temple, Meenakshi Temple and Thousand Pillar Temple, etc. on this day for purity of their hearts and souls. The main legend comes from the great epic, Mahabharata. When the Pandavas were in exile, Lord Krishna had given Draupadi a bowl called the Akshaya Pathra which was said to give unlimited food. The Pandavas used this bowl for their needs as well as to serve food to the poor. This incident of giving the bowl happened on the day of Akshaya Tritiya. Another interesting story coming from the Mahabharata, about this day, is believed to be the one when Veda Vyas, started reciting the Mahabharata to Lord Ganesh who agreed to write it down. Akshaya Tritiya also was known as Akha Teej in North India is associated with another legend. This is celebrated as the birthday of Parashurama, the sixth incarnation of Vishnu and also the son of Jamadagni and Renuka. One day, when Jamadagni got cross with his wife Renuka, he commanded Parashurama to kill her. Obeying his father’s command, the son killed his mother. In return, when Jamadagni offered his son a boon, he asked for his mother to be brought back to life. Mother Ganga descending on earth from the heavens is another legend that happened on this auspicious day. This auspicious day marks the beginning of the Treta Yuga, the second of the four yugas, in the Hindu religion, following the Satya Yuga and preceding the Dwapara Yuga. The most famous events in this yuga were Lord Vishnu’s fifth, sixth and seventh incarnations as Vamana, Parashurama and Ramachandra respectively. A friends’ unsaid request knows no bounds in this legend, on the day of Akshaya Tritiya. A dearest childhood friend of Lord Krishna named Sudama, seeking financial aid, came to his palace, with only a handful of rice to offer. Lord Krishna followed this age-old Hindu principle of “Athithi Devo Bhava” (Guest is like God) and treated Sudama nothing less than a king. Taken aback and overwhelmed by the treatment, Sudama couldn’t ask for any help but when he returned home, he found his old hut transformed into a palace and received much more than he could have ever asked for from Lord Krishna. It is believed that the richest deity is Kubera, the treasurer of the gods. It is said that Kubera was granted perpetual wealth and prosperity by praying to Goddess Lakshmi, the goddess of wealth and the wife of Lord Vishnu. A day-long Kubera Lakshmi Puja is performed in which an image of Lakshmi is worshipped with Sudarsana Kubera Yantra, symbolising Kubera. This day holds a lot of significance for the Jain community as well. On this auspicious day, the Jains pay homage to Tirthankar Rishabdev who ended his one year fast, by consuming sugarcane juice. Lord Rishabdev is the first of the twenty-four Tirthankaras. People observe the yearlong alternative day fasting known as Varshi-tap and they finish their Tapasya by drinking sugarcane juice. This was when, the Jains bought into reality the very first “ahara charya”, a methodology to prepare and serve food to Jain monks. Lord Rishabdev, after dividing his immense kingdom amongst his 101 sons, left all his worldly pleasures. For six months, he meditated without any food and water, after which he broke his fast. A popular belief amongst the Jains goes that, they do not own anything or even cook food for themselves. They set out to accept food from devotees, when hungry or thirsty. When Rishabdev set out for food after his fast, people did not understand his values and offered wealth instead. This was the reason why his fast extended for about a year. In the end, a man named Shreyansa Kumar offered him sugarcane juice and thus, Rishabdev could end his fast. This happened on Akshaya Tritiya and ever since sugarcane juice has been considered as one of the best offerings. Hence, on the auspicious day of Akshaya Tritiya, the Jains undergo a fast in honour of their first Trithankar and end it by taking sugarcane juice.